On Thursday 22nd November, 2018, Australian Disc Golf will convene for the 2018 ADG Tour Awards night and the Annual General Meeting. The venue for these festivities will be The Old Canberra Inn, located at 195 Mouat St, Lyneham ACT. The presentation will commence at 6pm with AGM to follow immediately after tour presentation is completed. The agenda for the AGM and the financial statement are attached. There is also a proxy voting form which can be used by those unable to attend the meeting. The form should be filled in and returned to the ADG at secretary@australiandiscgolf.com . 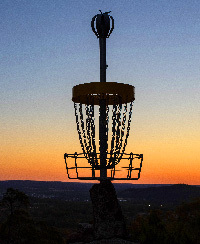 The AGM is a great opportunity to hear what has happened in disc golf around Australia in the past year and what is coming up in the year ahead. Following the official parts of the meeting the floor will be open for general discussion. You can bring items up at the meeting or send an email to secretary@australiandiscgolf.com and we can add items to the agenda. If you have any questions or require a copy of the ADG Rules of Association please send me an email. Following the awards and AGM, Todd Nowack and the ACT club will host the 2018 ADGC Players Meeting before dinner. Menu’s can be found on The Old Canberra Inn’s website. Due to the large number of players in attendance for the awards night and player’s meeting, it is recommended that you order food in advance. Bidding for the 2019 ADG Tour is now open. 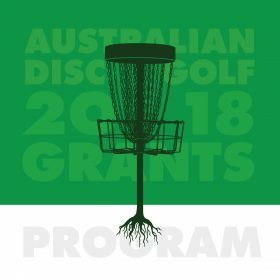 Bids should be submitted to Paul Arden – paul.arden@australiandiscgolf.com by Friday November 2nd 2018. …as well as any other relevant information. In the event of conflicting A Tier bids (defined as two events falling within 20 calendar days of each other) the ADG Board will initially consult the bidders and attempt to reach a resolution and failing that, deciding by ADG committee vote. Once the schedule of A Tiers has been finalized, bidding will be opened for B and C Tier events. Please note that these events can be put in the schedule up to 30 days prior to the event. An official announcement about the tour schedule will be made at this years 2018 ADGC in Canberra. 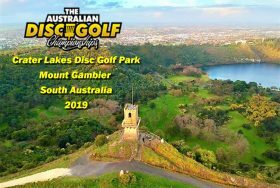 We also congratulate the Mount Gambier Disc Golf Club in South Australia for their success in securing 2019’s Australian Disc Golf Championships for Crater Lake Disc Golf Park. The ADG grants program is now in its 4th year. We’ve helped fund community programs, courses and school programs so far; providing that little bit of impetus for initiatives to get off the ground and growing our sport. Submissions for the 2018 program are now open. If you have an idea that you think will grow the sport in Australia and would benefit from some financial assistance. Fill out one of the attached forms below and email to the ADG board at grants@australiandiscgolf.com by September 25 2018.